Physicians experience firsthand the challenges that diminish practice performance. They see how legislation and technology are creating time consuming new tasks and highly demanding procedures—and their paychecks reflect the negative effects of a complex and changing healthcare industry. Physicians can adopt strategies for improving their financial performance—if they have access to accurate performance metrics and professional consulting. Our Professional Management Platform is a comprehensive revenue management system that produces bottom line results. Proven Technology. 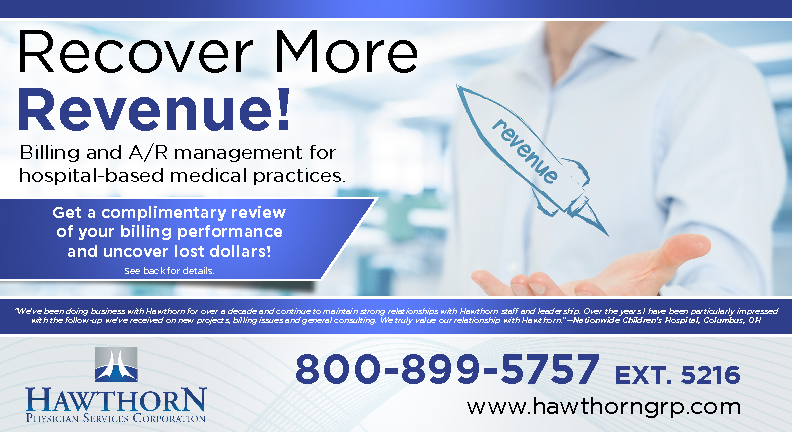 From the initial bill date through final resolution, our tools and metrics allow medical practices to capture incremental revenue. Our dashboard metrics deliver performance data to the desktop, so trends can be analyzed and managed in real time. Premier Service. Ongoing, unremitting service is one of our core promises. We know our value is not based on what we put into our work, but rather on what our clients get out of it. Experienced Team. Hawthorn has assembled a staff of talented and effective specialists with an extensive knowledge of all federal and state statutes, regulations and policies. Maximum Security. All files are backed up and stored securely at an off-site facility. Our safeguards protect patients and physicians, and we have achieved a record of 100% success in preserving confidentiality. Constant Tracking. We track every claim or patient bill, no matter how small. In fact, we are specialized to serve medical practices with average billing amounts in a range between $60 and $400. Exceptional Recovery. 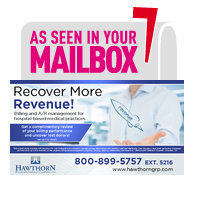 Our collection rates exceed industry standards for recovery of patient balances. We retain accounts longer and we work them harder, so we recover more revenue and place fewer bad debts with collection agencies. The Professional Management Platform is our value delivery framework for revenue cycle management, and it is our model for client support and excellence end to end.